AVID @ BMS - Wish you were here.. 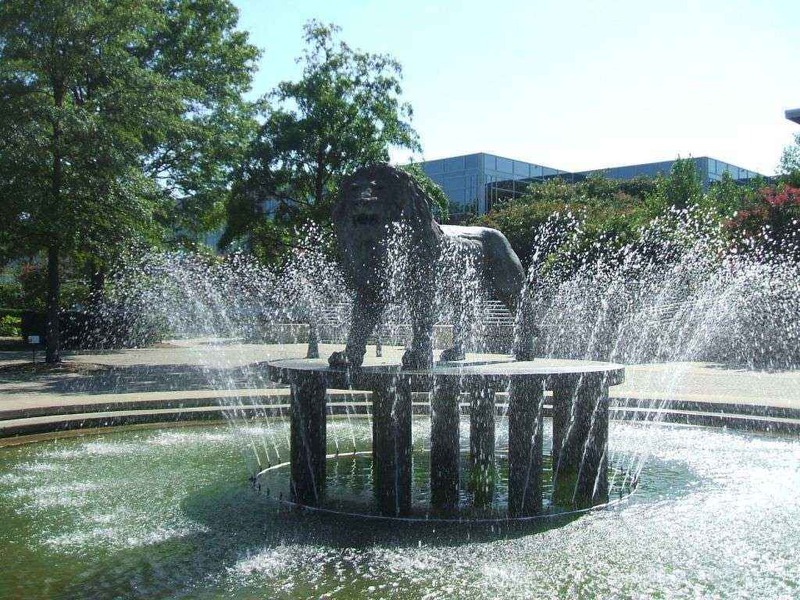 I picked this picture of ODU because I really liked how the lion statue looked while water was around it, I also liked how the college was set up. I think just by looking at this statue of the lion it makes the school like more interesting or powerful. This picture reminds me of when me and my friends we’re walking around on the tour and we just standing​ there looking at the lion. The water around the lion is so pretty to me, I just wanted to go up to it and touch the water because it looked so admiring. 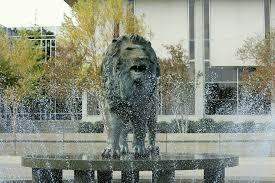 If I went to ODU I would always stop by and admire looking at the lion everyday before class. I picked this picture t because it brings back a lot of fun memories I had. At the aquarium I loved walking around with my classmates viewing all the different animals. I took this picture because I liked looking at all the cute colorful fish swim around in the tank, It was the first thing that I just wanted to take a picture of. 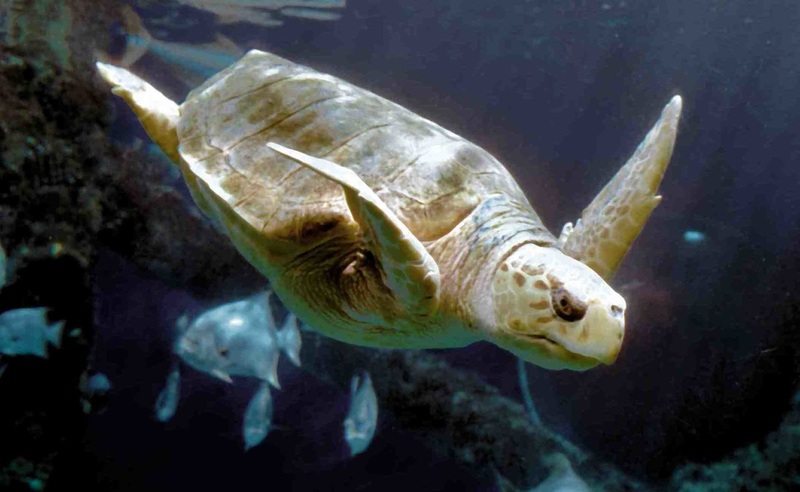 I fun time I had at the aquarium is when I put my hands on the glass and a turtle came over and was looking at me and my hand and it was just swimming around. Another fun moment I had is when my friends and I all had a frappe from when we got it from breakfast and when we had to throw it away before we could go in the aquarium so we all drunk it really fast and one of my friends spit it out from laughing too hard. I also enjoyed walking around with my classmates trying to find that big shark that everyone was wondering about. At ODU they have this seal thing that's on campus on the ground and only graduates can step on it. The university had a lot of new technology, and the classrooms seemed to be big. ODU is not just one of those boring colleges, unlike other colleges I’ve been to or heard, at ODU they have this thing for students where they have a big fair on the campus and they have a lot of fun events and a lot of fun time. A Memorable Beach Trip - Aliyah H.
Old Dominion University, ODU, was founded by William and Mary in 1930 as a Norfolk Division of William and Mary. Old Dominion University is now one of the biggest universities in Virginia. ODU is known for many of there school traditions, which are taken extremely serious. The Seal Tradition is something that can determine your future at ODU. On there campus there is a seal on there grown and it should never be stepped on until your graduation day, if stepped on before graduation, you will not graduate in 4 years. Another school tradition is the Ice Cream and Cake Dance. At any sports associated with Old Dominion, this dance, Ice Cream and Cake, is performed by the crowd and cheerleaders. One last tradition of Old Dominion is to Rub the Belly of their mascot. There is a statue of their mascot and whenever you may need luck, either for an exam or something else that may be very important to you, you rub the belly of the mascot, and it will give you good luck. 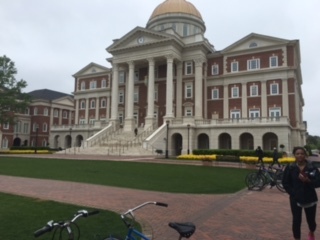 Christopher Newport University, CNU, was established in 1960, and is the youngest comprehensive of Virginia. With all the disappearances and deaths that have been recently happening, CNU is putting safety awareness boxes around the campus. If there was a dangerous person on campus or any severe storms, the box would alert the students and tell them what to do to insure their safety. Out of all the college visits I have been on, CNU has had the best and the biggest varieties of food. They have many different selections you can choose from, and to me, that's a big decision maker for me. Christopher Newport also has a very nice gym, with benefits for students that play sports. For those specific students playing sports, they get their own separate gym to workout, and the non sport playing students or alumni can you a different gym. My favorite overall memory of the trip is the night that we got to the hotel. The first thing we did was check into the hotel, and had about an hour to get settled until dinner. We visited each others rooms and we went on the balcony to look at the beautiful view from our rooms. As we walked to the restaurant for dinner, we took time to go on the beach and put our feet in the water. It might not have been the best idea, because most of us came out with our pants halfway wet, but it was worth it. We took a few pictures along the walk to Doughboys, and then we were finally there. We ordered numerous pizzas, and enjoyed a lot of laughs. My whole table decided to do a lemon challenge, which is who can eat a lemon, but unfortunately none of us could do, which made it even more fun. Next door was a store, which we all brought souvenirs to bring back to Charlottesville. When we came back to the hotel, we all went to the pool, and eventually the beach, and created many memories that I think we will all remember. I chose this picture because the library and many other buildings looked fancy like this one. The inside was also really big and fancy. This picture only showed some of how pretty and fancy the campus was. Division 1 in athletics, football, men’s and women’s soccer, men’s and women’s basketball, men’s and women’s golf, men’s and women’s tennis, men’s and women’s swimming and diving, baseball, and women’s rowing. I chose this picture because this was one of the parts in the university that stood out more when you were there. Right away, you can notice this lion and it is also the mascot of the school. The big lion statue stood out a lot and it dragged you in closer and closer until you notice you were soaking wet. 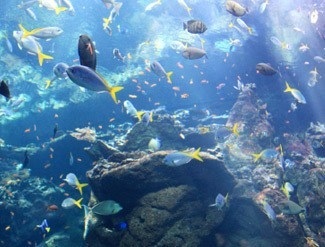 I chose this picture because it took place in the aquarium, and was one of our fun activities we did. I thought since I have already been there. it wasn't going to be as fun if I went the first time,but with my friends, I experienced something else. 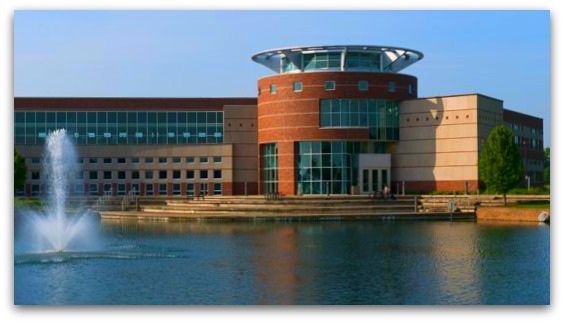 Christopher Newport University is located in Newport News , Virginia. It was established in 1960, and was at first a college instead of an university. The enrollment of CNU is 4,990 students. 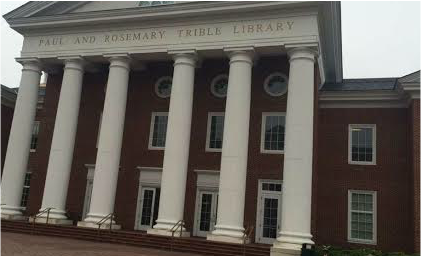 CNU is stated the youngest comprehensive university in Commonwealth Virginia . It is also in the ranking of 2016 best colleges . From my experience I thought that CNU was a college that I might look forward going to. Everything looked like it was made out of gold, and it just looked really fancy. My favorite part about it was the gymnasium, and the indoor and outdoor track. Sasha and I raced on the track, and I felt faster than regular because CNU has one of the fastest indoor tracks. I learned that the population there is very small than any other universities. CNU was fun for me , and kind of interesting. Although, at the end of the trip it was not very interesting or fun at all. Old Dominion University was established in 1930. It has 24,670 students enrolled, and their colors are blue and silver. Which personally are my favorite colors. ODU GPA acceptance is a 2.0. Which is calculated as a ''C''. ODU is held as one of the nations best public research institutions. Old Dominion University was pretty cool for me . I liked the spirit that the students have for the university, and they have exciting events there that looks really fun. The most interesting thing there was the seal. I think it's cool that if you step on the seal than more years will add on to your 4-years there. I also liked the sculptures around the university they looked nice and decent. The trip was very fun in most cases . Some were just problems that had to get fixed, but it did not ruin the trip at all. 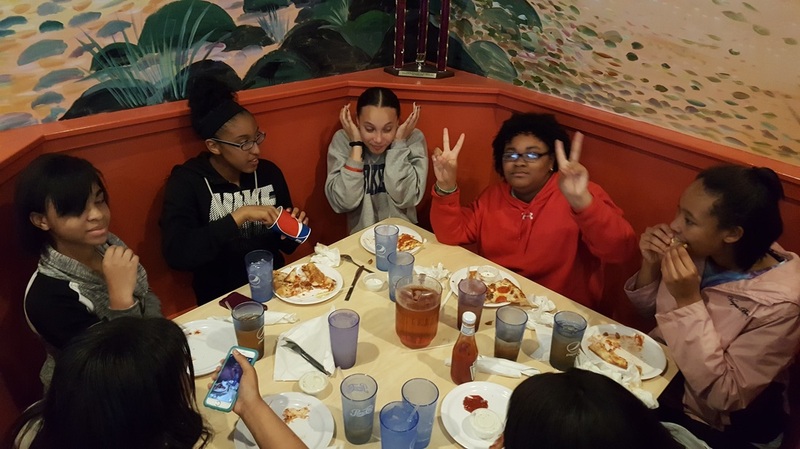 It was fun when we went to a pizza restaurant, and we ordered fries, and pizza. Everyone was having a good time, and laughing. Then we did the lemon challenge, and it was so fun, and funny. I think it was fun because everyone was together, and having a great time. I also enjoyed when we went down to the beach, and it was so cold, but nobody didn't care because we were all having fun. This would be one of the trips that I could never forget. My Trip - Isabella D.
They have more than 124,000 alumni in 50 states and 67 countries. More than 300+ student organizations. The school was first located in a high school called John W. Daniel Building. The class average is 25. Has the largest maritime literature collection in the Western hemisphere with more than 1.75 million books. 3,000 students live on campus. The first I'm including is the lion from ODU. After eating we went outside to begin the tour. After walking through puddles of standing for water and looking at a couple of buildings.This is what we saw. A giant lion statue with water spurting from sprinklers around it. It was truly amazing to look at,especially when the sun bounced off the metal. I also found it appealing because of the size. The lion was huge and took up so much space and had such a strong presence, but also how simply overall design was, since it was only a lion with the sprinklers and nothing more. The second event I'm going to highlight is when we first arrived at CNU. The second photo is of the sign that sat right outside of CNU. I’m using that photo because I liked the way the building looked. It’s the picture of a staircase inside of the school of business. 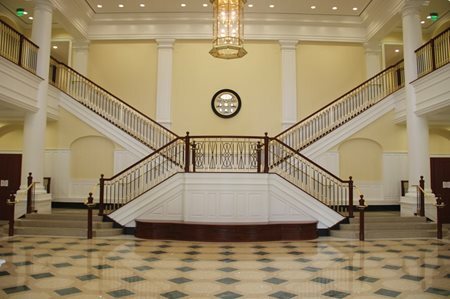 The main feature that I found appealing about the photo was how grand the staircase, and just like the rest of the campus it has a vintage feel about. My favorite part of it is the light fixture in the ceiling. It was so reflective and shiny that I spent more time looking at that than anything else. 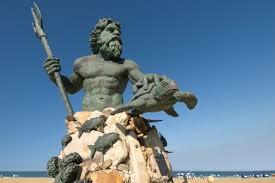 The last photo I’m talking about is the Neptune statue at VA beach. The first reason I chose this last photo was because it was from mythology. All of my super close family know that I can and will spend hours online and in books reading about myths and legends, and then would go around spurting random facts about them. The second reason, the animals, was truly what drew me to it. This is because every since I was little I’ve always loved animals, and some days I want to be a vet. Which made it almost impossible to not marvel at all the animals that were the so beautifully crafted. Even though more happened I’ll tell you more in person. This is a picture of the ODU seal. The seal is a very important figure at ODU, because you can only step on the seal after you graduate from there. People say on campus if you step on it before you graduate then you will have to add on 4 more years to you college life there. Many people will stop in their track just to make sure that they don’t step on the seal. This University is very unique. ODU started off as a division of William and Mary; than soon became ODU. ODU is located in Norfolk, Virginia about a 20 minute drive from Virginia Beach. The University has a lot of foreign exchange students from all over the world. ODU also allows people to get the a higher Education from home on your computers. ODU/CNU Beach trip 2016 Helen C.
​Some facts I learned about ODU are that ODU's population is large. There a little over 24 thousand people that go there. The majority of the population is undergraduate. There are about eight different majors at ODU. In the future I want to be a nurse so I would look at the nursing program. The nursing program at ODU seem to be a good program. I like the ODU campus but I don't think I'd want to go to ODU. ISome facts I learned about CNU are CNU 's population is very small. There is only about 5 thousand people that go to CNU. CNU doesn't have an actual nursing major so if I went there I would have to take my premeds then they would transfer me to an medical school. I could see myself going to CNU. My favorite thing about the trip was being able to spend quality time with my best friend Meagan. We had a lot of fun in the hotel room and walking on the beach and bored walk. We also had fun just being able to be together. Old Dominion University was cool it was one of the first colleges I ever visited. I think the best part was when we saw the lion and I got to rub its belly for good luck. Also when the tour guides said that you couldn’t step on the seal and if you did you wouldn’t graduate on time. Overall I thought that Old Dominion University was a pretty good college but really wasn’t that interesting. 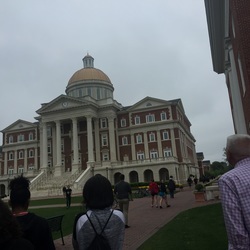 Christopher Newport University was beautiful. The buildings looked amazing like it was brand new. I think that this was one of the best collages because there indoor track was amazing. Daisy and I raced and it felt faster because they have one of the fastest indoor tracks. I thought that trip was amazing and it was fun just to experience going to Virginia Beach with a class. I know we had some kicnks in the trip but I that we could put that aside and think of the good things that happened. Like for example when we walked on the beach before dinner and it was chilly and the sand stuck to our feet and it felt like quick sand. Then the pizza was good and it poured deliciousness in your mouth. Then after that we had the lemon challenge which was exciting and it was sour and we had a good time spending time with each other. Then when we went to the pool and right after the pool we went to the beach and it was freezing cold. But we didn’t care because we were having fun. We have had so much fun here! We went to O.D.U and saw the huge Lion fountain. 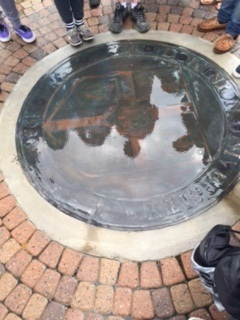 We learned that their is a thing in the ground on the campus, called the campus seal, that no one walks on till they graduate. Legend has it if you touch it before you graduate you won’t in four years. We also found out that they have a total of 24,672 students attending their. The president at the campus is John R. Broderick, and every Tuesday and Thursday they have a campus break time where no classes run and everyone hangs out around the Lion or inside; if the weather is bad. We also had a long bus ride where almost everyone fell asleep and trust me I got pictures. The long bus ride we were happy to get to the hotel and hung out. We ran to our rooms to see the view and call our families. My parents said you could see the joy all over my face. They weren't wrong I was definitely love struck. You would too if you were their. After a while no one could wait a minute longer to go walk on the beach and get food. We decided to go an check it out. It wasn’t long after we got there that all the girls took off running to the ocean; the boys and teachers walked. We had pizza and cheese fries for dinner, than split the party into shopping and swimming groups. I went shopping and got gifts for Tyler and Kaitlyn, my siblings. Than we all went back and swam, except the guys and Mr. Ellen, Than some of us went to the beach and only Isabella and I got more than a foot in. Than we headed back to the hotel where we swam till for a while longer. When we finally retired to our rooms for the night my room stayed up till 3:30am, more like Isabella and I after having a cup of coffee; don’t tell Mrs. Z we did that. The next day was pretty cool, even though we got a late start. We ate breakfast and went to the aquarium for some true fun. We saw everything from snakes to turtles and yes I got a picture of the turtle to show and one of me in a sharks mouth. When we had our fun we went to C.N.U for a tour. It was awesome! We went to the indoor track where Daisy and Sasha raced; I still don’t know who won. We found out that it is named after Captain Christopher Newport. It became a full university in 1992, and started in 1960. They also had wonderful staircases; you know how much I like staircases. Anyway I totally got a picture of their liberty. Now, we are back home and living our day to day lives. However, I don’t think anyone will soon forget the trip. I know I won’t. The picture to the right is the Monarch Statue. The Monarch used by Old Dominion has a royal crown on a royal crown on a lion’s head, representing a rich history and a strong future. The school’s current family of athletic logos were adopted in April of 2002. Old Dominion isn’t a school for me though, there are things that I hope to have in my future and they don’t have it. I loved this school. It has a beautiful campus. The picture beside here is the library. Let me tell you it is so beautiful. It was these marble white floors and it looked like the ball room in cinderella. It is a wonderful school. I would really love to go there, and I really hope when I apply I get expected! I had an amazing time with this trip. This will be something I will always remember , being with amazing friends and visiting places we may one day become apart of. From the freezing ocean water to the yelling at roomates at 3 o'clock in the morning for being loud and making coffee it was amazing. Reflections on our AVID 8 trip.